In their 2018 Finale, Sydney University Wind Orchestra (SUWO), presents ‘Jubilee’, a celebration of musical favourites from seasons past. With staples from Grainger and Nelson, the orchestra will present a program with something for everyone! Join us for a veritable ‘world tour’ of wind ensemble music, from the delightful Spanish infusions of Alfred Reed’s ‘El Camino Real’, Markowski’s introspective celebration of New York City in ‘City Trees’, to Gershwin’s evergreen portrait of ‘An American in Paris’, this is a concert with something for everyone! 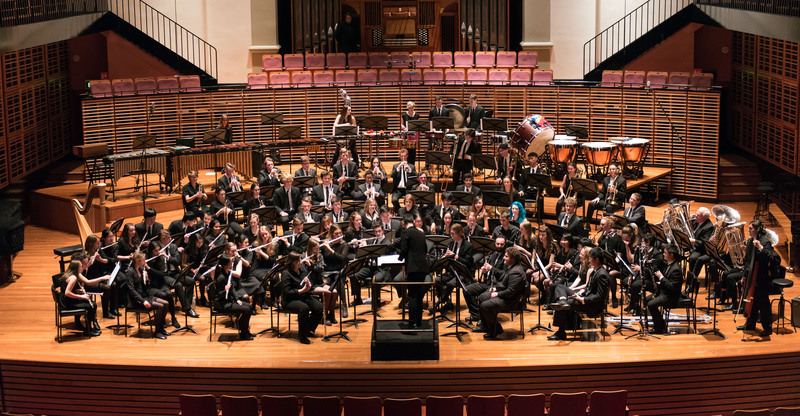 In 2018 the Sydney University Wind Orchestra continues its decade history of music making. SUWO was founded in 2003 as a place for the university community to share their passion for music. Fun and social everyone was welcome and one of the University of Sydney Union’s great clubs was born. Today we’re proud to continue this tradition. The band has developed tremendously over the intervening years to where we are today- One of Sydney’s foremost community music ensembles. SUWO is filled with passionate musicians making incredible music– and having a great time doing so! Under the musical direction of Ben Crocker, with over 80 playing members and a full compliment of symphonic band instruments we are able to perform some of the most exciting wind band music available. Across three major concerts, musical collaboration and a range of social events we are proud to spread the joy of music throughout Sydney. Book now and secure your seat. Valid for concession card holders. Named after Henri Verbrugghen, the Conservatorium’s founding director, Verbrugghen Hall is a world-class concert hall and the largest venue at the Conservatorium, seating a total of 528 over several sections. With exceptional acoustics designed by Kirkegaard Associates of Chicago, USA, a fixed riser system, Pogson organ and choir gallery, Verbrugghen Hall is most suited to orchestral, chamber and solo music performances with a stage capable of accommodating a full symphony orchestra. The Pogson organ, originally built in 1973, was fully restored in 2001 by the South Island Organ Company of New Zealand when the Conservatorium’s redevelopment was completed. The Verbrugghen hall and The Sydney Conservitorium of Music have been SUWO’s home for the previous year, hosting the band for both rehearsal and performance needs.